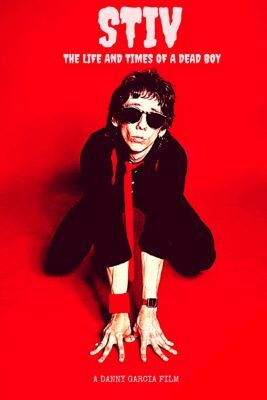 Legendary DEAD BOYS and LORDS OF THE NEW CHURCH frontman STIV BATORS is set to be immortalised on celluloid in a new documentary film. STIV: The Life And Times Of A Dead Boy is being made by director Danny Garcia, the man responsible for such films as The Rise and Fall Of The Clash, Looking For Johnny, and Sad Vacation: The Last Days Of Sid and Nancy. Emerging from the Cleveland, Ohio scene and relocating to New York City with The Dead Boys, Stiv fronted the band through two classic albums and the anthemic ‘Sonic Reducer’ single before heading to the UK to team up with the remains of SHAM 69 in THE WANDERERS. He subsequently found success alongside DAMNED guitarist Brian James in The Lords Of The New Church throughout the 80s. Stiv died in Paris in 1990 after being hit by a taxi. Watch a trailer for the film here. An IndieGoGo page has been set up to help fund the film. Read a new feature on the Lord Of The New Church in the latest edition of Vive Le Rock magazine, out now! ‹ DIRTY FENCES UNVEIL NEW VIDEO!